Recognized as one of the world’s most influential bands in Rock music, Grammy-winning multi-platinum selling band Soundgarden started a musical transformation that inspired a generation in its record-breaking career, leaving an indelible mark by helping redefine Alternative and Hard Rock. Hard on the heels of the 20th anniversary deluxe re-release of its chart-topping, five-times-platinum 1994 album, Superunknown, earlier this year, Soundgarden’s latest release is a 3-CD rarities collection, Echo Of Miles: Scattered Tracks Across The Path. Among the seven unreleased tracks is a brand-new recording, “Storm,” recorded in May with producer Jack Endino in Seattle. The new collection was curated and hand-selected by guitarist Kim Thayil. Echo Of Miles: Scattered Tracks Across The Path is the first time an official Soundgarden release has included more than 26 years of rarities that have appeared as B-sides, album bonus tracks, EPs, soundtracks, compilations and live recordings, a must for any fan of the band. 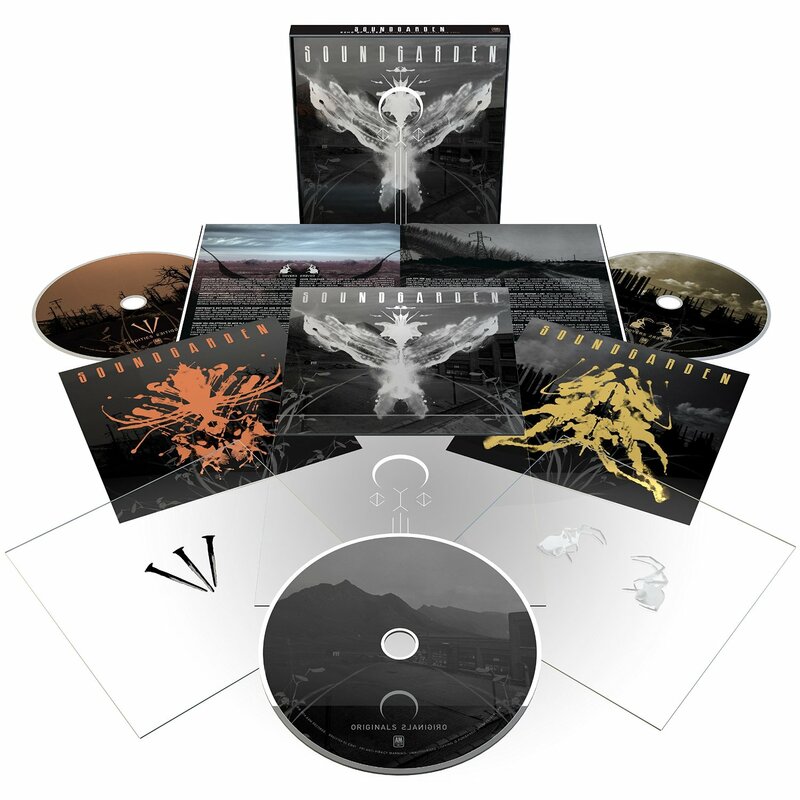 The package features three separate thematic discs in a clear plastic slipcase with three separate mini-jackets, each sporting its own unique art, a booklet and inserts, allowing fans to mix and match, personalizing their own album graphic layout. This entry was posted on November 7, 2014 at 11:30 pm and is filed under classic rock, Hard Rock, hard rock bands, Music, music news, rock music, rock music news with tags classic rock, grunge, Hard Rock, hard rock albums 2014, metal odyssey, soundgarden. You can follow any responses to this entry through the RSS 2.0 feed. You can leave a response, or trackback from your own site. Man, Soundgarden always seem to find a way to earn my dollars around Christmastime. Looks like 2014 will be no exception! There’s plenty of stuff on here that I do not have…this appears to be quite a great rarities set.